A cardinal principle of good fiction [is]: the theme and the plot of a novel must be integrated—as thoroughly integrated as mind and body or thought and action in a rational view of man.The link between the theme and the events of a novel is an element which I call the plot-theme. It is the first step of the translation of an abstract theme into a story, without which the construction of a plot would be impossible. A "plot-theme" is the central conflict or "situation" of a story—a conflict in terms of action, corresponding to the theme and complex enough to create a purposeful progression of events. A related, though somewhat different, example of a bad novel is An American Tragedy by Theodore Dreiser. Here, the author attempts to give significance to a trite story by tacking on a theme which is not related to or demonstrated by its events. The events deal with an age old subject: the romantic problem of a rotten little weakling who murders his pregnant sweetheart, a working girl, in order ... to marry a rich heiress. The alleged theme, according to the author's assertion, is: "The evil of capitalism." Rand here commits the error of confusing the author's intended theme with the actual theme manifested in the author's story. In other words, Dreiser's alleged theme is entirely irrelevant to the merit (or lack of merit) of An American Tragedy. Even if that novel fails to demonstrate the evils of capitalism, that in itself wouldn't make it a "bad novel." The integration of theme and plot is entirely irrelevant. Every plot will have a theme, regardless of the author's intentions. Since every story has a theme, integration of theme and plot is a built in feature. It works regardless of what the author intended. Indeed, the author's intentions are of no consequence whatsoever; what is important is the final result. A novel cannot be judged because it turned out different from what the author originally intended. If Dreiser had never claimed that the theme of An American Tragedy was "The evil of capitalism," none of us would be any the wiser and Rand could not have used the work as an example of a bad novel that misintegrates the theme and the plot. Do They Just Make This Stuff Up? We here at the ARCHNblog have long said that Rand's arguments are so intensely confused even her devotees are unable to extract coherent positions from them. Take the case of her "intellectual heir" Leonard Peikoff. After triggering doctrinal firestorms over denying Muslims property rights, voting Democrat, and nuking Iran under the doctrine of collective responsibility, he's now come out in favour of compulsory jury duty. And what is his Objectivist argument for initiating force against free citizens, something expressly forbidden by Objectivism? Amy Peikoff summarises it simply: it is just, well, "something you agree to when you agree to live under the government." The word “purposeful” in this definition has two applications: it applies to the author and to the characters of a novel. It demands that the author devise a logical structure of events, a sequence in which every major event is connected with, determined by and proceeds from the preceding events of the story—a sequence in which nothing is irrelevant, arbitrary or accidental, so that the logic of the events leads inevitably to a final resolution. Rand's emphasis on "logical" sequence of events is problematic. No sequence of events is ever "logical." Logic applies to arguments, to propositions. There may exist, for example, a logical sequence of propositions. A sequence of events may be causally connected, but they cannot, on the face of it, be connected by logic. One event is never deduced from another. Rand here is confusing logic with inevitability. A chronicle, real or invented, may possess certain values; but these values are primarily informative—historical or sociological or psychological—not primarily esthetic or literary; they are only partly literary. Since art is a selective re-creation and since events are the building blocks of a novel, a writer who fails to exercise selectivity in regard to events defaults on the most important aspect of his art. However, all this merely begs the question, leaving us as ignorant as we were before. Why must only inevitable events be regarded "esthetic and literary," whereas non-inevitable events are merely "informative." Rand has failed to provide a compelling argument for the importance of plot in fiction. Are there compelling arguments for other elements? In a word, yes. Now whether Mencken is right, he at least give a compelling argument for his position: namely, interesting characters are more memorable than stories or plots. And if one examines the novels that are remembered and read generations after they are written, they are all character sketches of some sort or another. They may be a great deal more than that; but few novels survive merely on plot alone. The plot of a novel serves the same function as the steel skeleton of a skyscraper: it determines the use, placement and distribution of all the other elements. Matters such as number of characters, background, descriptions, conversations, introspective passages, etc. have to be determined by what the plot can carry, i.e., have to be integrated with the events and contribute to the progression of the story. In practice, this sort of outlook turns characters into mere plot devices. The practical consequence of the sort of plot-driven fiction would be novels populated by unmemorable one-dimensional stick figures. Such novels may survive, as Rand's own Atlas Shrugged has thus far survived, for it's value as an instrument of propaganda; but as literature, it will be scorned and (probably) forgotten. Even as propaganda, it's value is close to nil, because only those who already agree with the message are likely to read and appreciate it. If Rand had really wanted to get her message out and achieve something beyond merely preaching to the choir, she would have striven for Atlas to be character-driven, rather than a plot driven, book. Then, assuming it was well done, intelligent people would have read it, even if they didn't agree with its message. One of the distinguishing characteristics of great literature is that intelligent people will read it even if they don't agree with author's view. Consider, as one example, the novels of Tolstoy. Many people can read and enjoy War and Peace and Anna Karenina without agreeing, or even respecting, Tolstoy's rather eccentric political and social views. Saving The Appearances 2: Notes on Cultism in "The Logical Leap"
If "The Logical Leap" is a Rand-cult book, we should expect it to conform strictly to the Prime Directive of cultism: that the Ayn Rand is the greatest individual that ever lived. Rand-cult books like James Valliant's "The Passion of Ayn Rand's Critics" are written to promote the moral supremacy of Ayn Rand; "The Logical Leap" to promote her intellectual and philosophical supremacy. However just as the insurmountable conflicts between the Prime Directive and reality forced Valliant's book into sycophantic absurdity, this case presents enormous problems for the true believer. For unlike the problem of universals, or the "is/ought" problem, which Rand claimed to have solved (even though it seems that she neither solved, nor even understood them), with the problem of induction she is on record as stating she had not solved it, and had not even begun to do so. Saving the Appearances: Notes on Cultism In "The Logical Leap"
Before we look at the highly cultic nature of "The Logical Leap", I'd better explain some of the mechanisms a typical cult uses to function. Based on his experiences with survivors of Chinese Communist re-education programs, in the early 60s psychologist Dr Robert J. Clifton developed what he called the "Eight Criteria For Thought Reform" - a set of methods for moulding individuals to fit a given ideology. He soon realised that these programs closely resembled those of the plethora of different cults from the Children of God to EST to Scientology that sprang up in America during the '60s counterculture revolution. So anyway, I finally got around to getting a copy of David Harriman's "The Logical Leap: Induction In Physics". I've been in no hurry because, not unlike Atlas Shrugged: The Movie, everything I'd read about it pointed towards it being a typical Objectivist trainwreck. I've started into it and already it is clear the book has nothing to add to the well-known problem of induction. Nothing, nada, zip, nil, zero, nah-thing. I will be amazed if I can encounter in it a single argument that has not been made, and debunked, at at least 70 years before and more like 150 - the only detectable difference being that this old wine will have been rebottled in Rand's obscurantist Objectivist jargon. Hence reviewing it solely for the purpose of examining Harriman's alleged arguments, though I will touch on these, seems even beyond my considerable tolerance for thankless tasks. However, what is interesting is not what the book says, but the way Harriman says it. 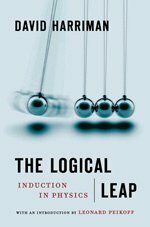 My initial impression of "The Logical Leap" is that, like James Valliant's "The Passion of Ayn Rand's Critics", it's an epic fail in everything it sets out to do, either as argument, or history, or both. But what makes Valliant's demented tome indispensable is precisely its idiocies; with "TPARC" Valliant unwitting gives us, with MRI-like clarity, a fascinating look inside the Rand-cultist's mind. "The Logical Leap" appears to offer us the more of the same. Going farther down, one can observe the breakup of Romanticism, the contradictions that proceed from a premise held subconsciously. On this level, there emerges a class of writers whose basic premise, in effect, is that man possesses volition in regard to existence, but not to consciousness, i.e., in regard to his physical actions, but not in regard to his own character. The distinguishing characteristic of this class is: stories of unusual events enacted by conventional characters. The stories are abstract projections, involving actions one does not observe in "real life," the characters are commonplace concretes. The stories are Romantic, the characters Naturalistic. Such novels seldom have plots (since value-conflicts are not their motivational principle), but they do have a form resembling a plot: a coherent, imaginative, often suspenseful story held together by some one central goal or undertaking of the characters. The contradictions in such a combination of elements are obvious; they lead to a total breach between action and characterization, leaving the action unmotivated and the characters unintelligible. The reader is left to feel: "These people couldn't do these things!" With its emphasis on sheer physical action and neglect of human psychology, this class of novels stands on the borderline between serious and popular culture. No top-rank novelists belong to this category; the better known ones are writers of science fiction, such as H. G. Wells or Jules Verne. (Occasionally, a good writer of the Naturalistic school, with a repressed element of Romanticism, attemps a novel on an abstract them that requires a Romantic approach; the result falls into this category. For example, Sinclair Lewis's It Can't Happen Here.) It is obvious why the novels of this category are enormously unconvincing. And, no matter how skillfully or suspensefully their action is presented, they always have an unsatisfying, uninspiring quality. What I Learned From Parodying "Atlas Shrugged"
Ellis Weiner, author of the excellent parody Atlas Slugged: AGAIN neatly skewers the novel's, and the movement's, epic pretensions. "It was like shooting fish in a barrel, yes." says Weiner, "But somebody has to shoot them." There are Romanticists whose basic premise, in effect, is that man possesses volition in regard to consciousness, but not to existence, i.e., in regard to his own character and choice of values, but not in regard to the possibility of achieving his goals in the physical world. The distinguishing characteristics of such writers are grand-scale themes and characters, no plots and an overwhelming sense of tragedy, the sense of a “malevolent universe.” The chief exponents of this category were poets. The leading one is Byron, whose name has been attached to this particular, “Byronic,” view of existence: its essence is the belief that man must lead a heroic life and fight for his values even though he is doomed to defeat by a malevolent fate over which he has no control. The problem with this category is (1) the vagueness of its terms, and (2) lack of specific examples. Because of these two issues, it's difficult to determine where this category is applicable. Keep in mind that, initially, Rand claimed that Romanticism could be distinguished from Naturalism through the literary device of a plot. But here we have a type of Romaticism that is plotless. So how does one distinguish Byronic Romanticism from Naturalism? The Byronic Romantics, Rand tells us, adopt grand-scale themes and characters. Yet so does Shakespeare in his tragedies. Why is Shakespeare not a Byronic Romantic? Rand's attempt to use the issue of volition-orientation to analyze literature again demonstrates the futility of viewing narrative works through this particular prism. Except in extreme cases (e.g., Zola for instance, who is explicit in his determinism), the issue of volition versus determinism is not applicable to literature. Most serious novelists and dramatists seek to create characters and narratives that are believable. Whether their characters are "grand-scale" or not, they are nonetheless drawn in the hope of being compelling and believable manifestations of human nature. And why should any believable representation of human nature be equated with determinism? Curiously, Rand's equation of "journalistic" descriptions of human beings with "Naturalism" implies that a scrupulously realistic portrayal of human nature supports determinism. Why should this be so? Most likely, Rand would have tried to circumvent this troublesome implication by drawing on her selectivity principle. Yet this merely demonstrates the poverty of Rand's selectivity principle. If you are determined to over-interpret a work of art, you can read anything into it that you like. But in criticism and aesthetics, the purpose is not to over-interpret works of literature, but to appreciate and enjoy them. When analyzed carefully, most of Rand's aesthetic categories become entirely unconvincing. Under Rand's conceptual schema, there is (generaly speaking) no way really to distinguish between Romantic and Naturalist literature, beyond recourse to Rand's own statements about a handful of specific authors. We know that Dostoevksy and Conrad are Romantics, because Rand said they are. And we know that Shakespeare and Balzac are Naturalists for the same reason. But if Rand had said nothing about these authors, would we have been able to place them "correctly" in her contrived categories? And what about all those authors Rand never mentions? What of Thomas Hardy, Jane Austen, the Bronte sisters, Dickens, Fielding, Richardson, D. H. Lawrence, George Eliot, Henry James, Mark Twain? English literature is particularly difficult to place in Rand's categories, because it tends to be so moralistic, and moralism implies volition. Yet "grand-scale" characters are not especially pentiful within the confines of the English novel. If (1) is true, then we have to question whether Rand is even qualified to make aesthetic pronouncements on literature; and if (2) is true, then we have to question the utility of her categorizations (since if they are not applicable to most literature, what good are they?). In any case, Rand's attempt to devise aesthetic categories based on volition through which to evaluate literature are so poorly thought out that it raises suspicions of the whole thing being a ruse by which Rand could justify her personal tastes in serious literature. For, as it turns out, Rand's favorite serious authors and serious novels all turn out to be among the most consistent exemplars of Romanticism! The faculty of volition operates in regard to the two fundamental aspects of man’s life: consciousness and existence, i.e., his psychological action and his existential action, i.e., the formation of his own character and the course of action he pursues in the physical world. Therefore, in a literary work, both the characterizations and the events are to be created by the author, according to his view of the role of values in human psychology and existence (and according to the code of values he holds to be right). His characters are abstract projections, not reproductions of concretes; they are invented conceptually, not copied reportorially from the particular individuals he might have observed. The specific characters of particular individuals are merely the evidence of their particular value-choices and have no wider metaphysical significance (except as material for the study of the general principles of human psychology); they do not exhaust man’s characterological potential. Note how Rand here connects Romanticism with her theory of human nature. For Rand, volition as applied to consciousness means (among other things) "the formation of his [a man's] own character." Man, Rand contended, is a being of "self-made soul"; it is the volitional nature of consciousness that makes him so. Romanticism, therefore, being a volition-orientated school of art, must (by implication at least) portray men as having self-made souls. Rand's notion of volition as applicable to existence is more in line with her view of the "efficacy of reason" and her benevolent universe premise. All these conceptions are deeply problematic and, at best, only half-truths. Rand's conviction that individuals form their own character is empirically false. Rand presents no compelling evidence in its favor; and there exists plenty of scientific evidence against it. Hence Randian Romanticism is contary to the facts of reality. Curiously enough, Rand herself nearly acknowledges as much when she criticizes "Naturalist" authors for merely providing "journalistic" characters based on the observation of "particular individuals" (i.e., real people). She even goes so far as to admit that the Naturalist authors may present insights concerning human psychology. This seems almost like an unwitting acknowledgement that, on the issue of human nature, so-called "Naturalist" authors like Shakespeare, Tolstoy, Balzac, etc. were factually correct, despite their clear rejection of Rand's own peculiar view that "man is a being of self-made soul." Now if we are to rely upon science and experience to guide us in these matters, it must be admitted that "free will," to the extent that exists at all, is hemmed in all sides by the biological limitations of the human brain. Neuroscientists have discovered that the brain is made up of competing systems. Unity is achieved (if at all), presumably, by some kind of vague and amorphous controlling agent, which we identify with ourselves; but it is not clear that this "agent," whatever it may be, enjoys complete control or even has a will of its own. In any case, the old dichtomy of free will versus determinism may have outlived its usefulness. As Nietszche suggested over a hundred years ago, the question is not so much between free will and unfree will, as between strong wills and weak wills. Once the evidence of science is weighed in the balance, it would seem that free will, at best, applies only to decisions based on reflection. Even here, the conception is problematic. But applying it further is not justified on empirical grounds. For this reason, Rand's assumption that volition is applicable to "consciousness and existence" is, at best, misleading, and at worse, palpably absurd. How can a volition which struggles to control its own impulses be applicable to both consciousness and existence? The most the individual can hope to control is his own decisions (and even that hope may prove illusory). Much that is applicable to both consciousness and existence is well beyond any sort of volitional choice. We don't choose our characters or the emotions and impulses that afflict us on all sides; and our choices, in terms of "existence," are very limited, hemmed in on the one side by physical necessity and on the other by the choices and actions of other individuals. Ultimately, Rand's claim that volition is applicable to both consciousness and existence is merely an eccentric way of formulating her theory of human nature and the benevolent universe premise. However, it is deeply questionable whether the first of these assumptions is applicable to literature, and the second of any great importance. Is there any literature that portrays human beings as men of self-made souls? Does even Rand's own novels portray them as such? Curiously, Rand does not profer us a glimpse into the formative stages of Roark or Galt, where we can see them quite literally forming their own souls! Yet, if the deeper implications of Rand's own aesthetic theories are to be credited, the only difference between John Galt and James Taggart are a handful of fundamental choices. Galt could easily, had he volitionally chosen different values, become James Taggart, while Taggart could easily have become John Galt. (One wonders, if their choices had been different, would their physical attributes also change?). Nor is it clear how the category of volition as applied to existence is supposed to reveal anything insightful or even true about fundamental views of a novel's author. Doesn't Kira's death, at the end of We the Living, imply that Rand's protagonist exercises no volition over her existence and that therefore Rand is a determinist (at least in regards to volition being applicable to existence)? Meanwhile, in Jane Austen's novels, the protagonists never fail to achieve their ambition of ensnaring the victim of their romantic fancies. Does this mean that Jane Austen believed in the applicability of volition to existence? Or did she merely wish to write novels with a happy ending (happy, that is, from the feminine point of view)? Apparently not. Neil Parille plumbs the latest depths of Objectivist apparatchik stupidity so you don't have to. Recently, on Diana Hsieh’s podcast, a listener asked Hsieh and her co-host Greg Perkins a question about criticisms of Objectivism and their opinion of Scott Ryan’s 2003 work, Objectivism and the Corruption of Rationality. Hsieh holds a Ph.D. in philosophy from the University of Colorado. Both Hsieh and Perkins are (or were) supporters of the Ayn Rand Institute. Hsieh said she hasn’t read Ryan’s book. Perkins said that with “no exception” all the criticisms he had read of Objectivism are either “blatantly dishonest” or “based on a misunderstanding.” Perkins went on to say that he read parts of the book and concluded that Ryan was not dishonest but rather, you guessed it, didn’t understand Objectivism. Hsieh said that criticisms of a philosophy have limited value. What is most important is whether a philosophy corresponds to the “facts of reality” and whether its principles fit with “my experience.” She did make the point that, regardless of what one thinks about established philosophies such as Kantianism and Utilitarianism, there are certain legitimate criticisms that provide a good jumping off point for discussion. On the other hand, she maintains, Objectivism hasn’t been around long enough for good critiques to develop. She then agreed with Perkins that none of Rand’s critics understand Objectivism well enough to critique it.